For a larger version of the map, click the image above. The month of May marks not just National Biking Month, but Long Beach’s annual Bike Fest, a downtown take-over celebrating all things two-wheeled (including an inaugural Long Beach crit from racing gods Wolfpack Hustle). 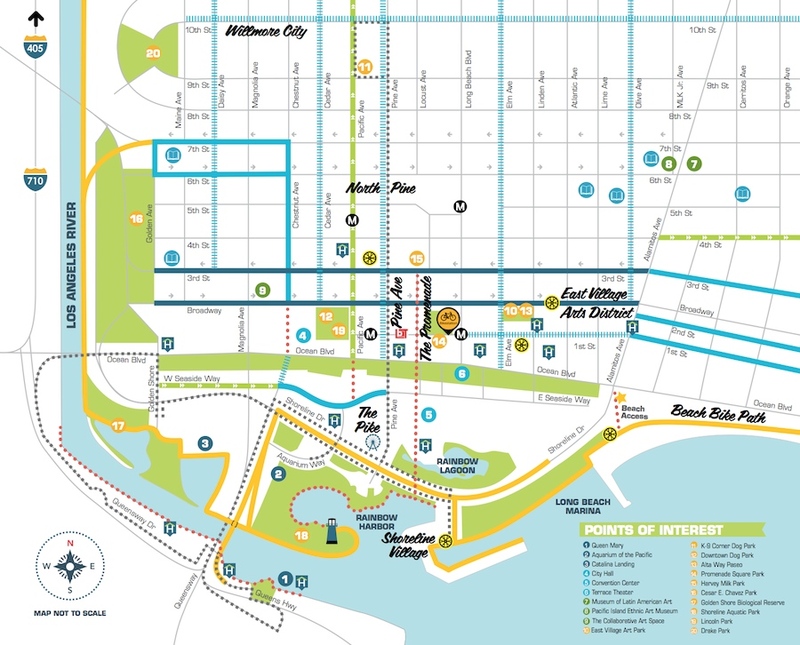 For those uninitiated in either biking around downtown or biking for amusement in general, Downtown Long Beach Associates (DLBA)—the main sponsor of Bike Fest—has created a massive map that caters to bicyclists wishing to travel routes both short and long. And a final 8-mile round-trip look that takes bicyclists from downtown to the top of Signal Hill for some of the best views of the downtown skyline. For now, the map is only available online. 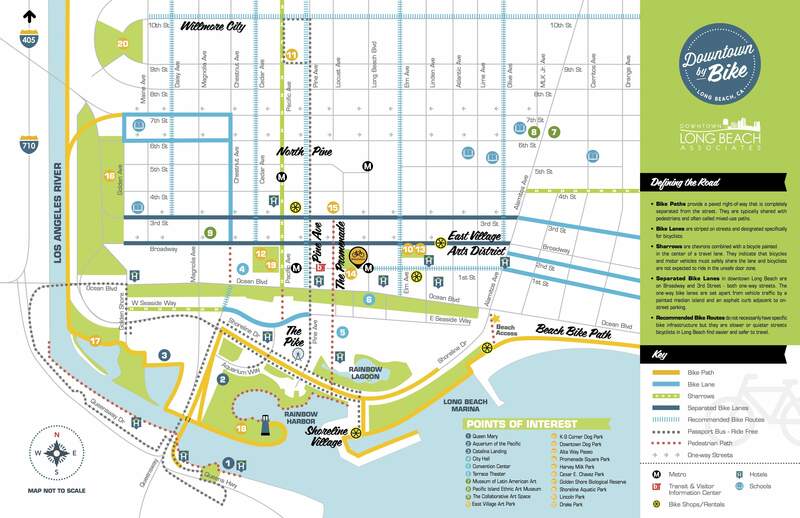 However, waterproof, durable copies of the map will be handed out at Bike Fest, as well as at various downtown offices, bike shops, businesses, hotels and attractions.